Dr. Lu received his Doctor of Dental Surgery (DDS) at University of Maryland-Baltimore School of Dentistry in Baltimore, MD in 2015. Prior to dental school, he earned his Bachelors degree in Biology from Emory University in Atlanta, GA. In 2016, Dr. Lu completed a 1-year General Practice Residency program at New York Medical College-Westchester Medical Center where he received advanced training in prosthodontics, endodontics, cosmetic dentistry, oral surgery, pediatric dentistry, implantology, and the management of dental emergencies. 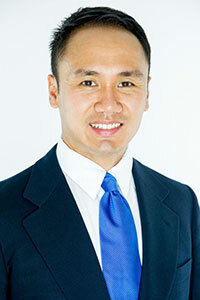 After completing his residency training, Dr. Lu practiced dentistry in Greensboro, NC. Two of his professional passions are continuing education and giving back to the community. He has taken hundreds of hours of continuing education and is committed to staying current with new research, techniques, materials, and technology to make the patient experience more comfortable and to promote oral and overall health for patients. Giving back to the community is also another passion. Since his undergraduate studies at Emory University, he has volunteered in numerous dental clinics and Missions of Mercy clinics, where he assisted and provided services to those who cannot afford dental care. Dr. Lu took over Asheboro Family Dentistry in early 2017 and is excited to improve the health and smiles of patients in Asheboro, NC and the North Carolina Triad area. He is committed to providing quality dental care in a family atmosphere and with a personal touch. He continues to take continuing education courses to improve his skills and to offer patients more treatment choices such as cosmetic dentistry, Invisalign®, and Six Month Smiles®. In his spare time, Dr. Lu enjoys spending time with his family and friends. He also enjoys exploring the outdoors and state parks in North Carolina as well as travelling, hiking, running, cycling and basketball.